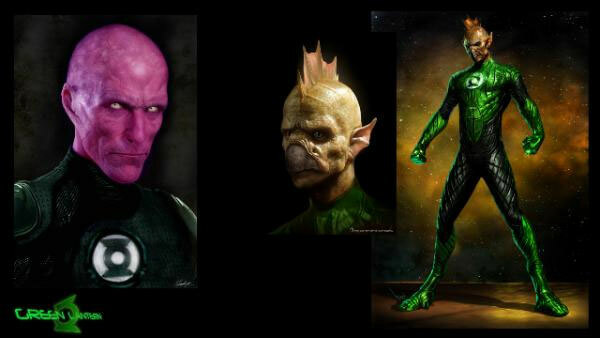 Over at www.comicbooknews.com some alleged concept art has been leaked of three Green Lanterns. Below you’ll see Abin Sur (the pink guy who gives Hal his ring), Tomar Re (a close friend of Hal’s who has an unhappy fate in the Lantern Corps), and my fave Lantern Kilowag (giant beefy pig guy). Is it just me or does Abin Sur look like Bill Nighy? I’m excited, how about you! Tagged Green Lantern, movie news. « iPad, the next in women’s.. oh, it’s from Apple. Kilowag looks dead on Tomar has a little beak though? Well, hey, little beaks look better for talking. This isn’t comics. THIS! IS! REAL! LIFE!